Water Park Drowning | Nashville Injury Lawyers The Law Offices of John Day, P.C. Tennessee is home to a number of water parks including SoundWaves at the Opryland Hotel, Wilderness at the Smokies, Nashville Shores, Wetlands Water Park, Dollywood's Splash Country and Wild Bear Falls. Children of all ages love water parks, and they are a destination for many families who enjoy the wave pools, slides and fun. But, if waterparks are not properly operated or staffed, they can be a dangerous place especially for young or inexperienced swimmers. Swimmers can be trapped by drains that are missing their covers or they can hit their heads while using a slide and become incapacitated in the water. Water park operators are legally obligated to take reasonable steps to ensure the water park is free from from hazards. This may include ensuring the rides are built, maintained and inspected properly. It may also include ensuring that drains are working properly and safety equipment is present and in good condition. Water parks should ensure they have a sufficient number of life guards and that the life guards are diligently performing their duties. If you have lost a loved one to a drowning accident, no amount of money can ease your pain. But, it can help cover medical bills, emotional counseling for surviving family members or to establish a scholarship or some other endowment in memory of your loved one. If your family member was the victim of a near-drowning accident or other serious accident, you need financial compensation for their pain and suffering, medical bills, future medical care, lost wages, loss of consortium, etc. Your family deserves a high-quality, compassionate lawyer who will aggressively fight for your rights. We have been the voice of injury victims for more than 80 years, and we believe our credentials speak for themselves. We invite you to review some of our professional honors and awards and client testimonials. We have recovered more than $100 million dollars for our clients and we are here to help you after your water park accident. 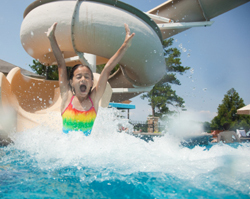 For more information on types of water park accidents, click here. Contact one of our experienced Tennessee water park attorneys online or call us any time at 615-742-4880 or 866.812.8787 for a free, no-obligation consultation. We handle all accident cases on a contingency basis, which means we only get paid if we win. And, unlike some lawyers, we advance all case expenses. For more information on our fees and case expenses, click here.